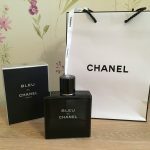 Over the past few months I’ve been undertaking a pretty major project to renovate the downstairs of my 3 bedroom home. This has involved plastering, laying new flooring and buying new furniture among other things. 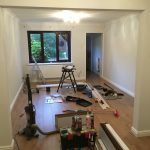 With the major works done it was time to start on the smaller touches and in particular adding some blinds to the lounge and dining room. 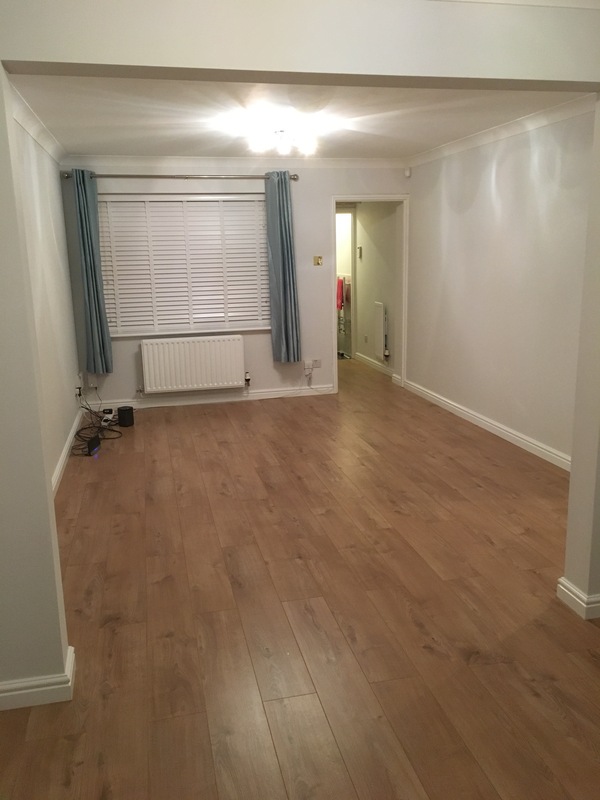 With a large south facing lounge window it can be pretty unbearable trying to sit on the sofa – it’s both extremely hot when the sun comes in but also quite blinding due to the direct sunlight. Shutting the curtains creates too much of a blackout effect so blinds were an obvious solution. 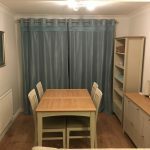 After a little shopping around we decided that we wouldn’t buy pre-made blinds which had been a bit of a pain in the past having to cut them down and so ordered made to measure blinds from Blinds 2go for my lounge window, WC window and dining room window. The first step in this process was to take multiple measurements for each window and submit them with the online order. This allowed the blinds to all be cut to size in advance. 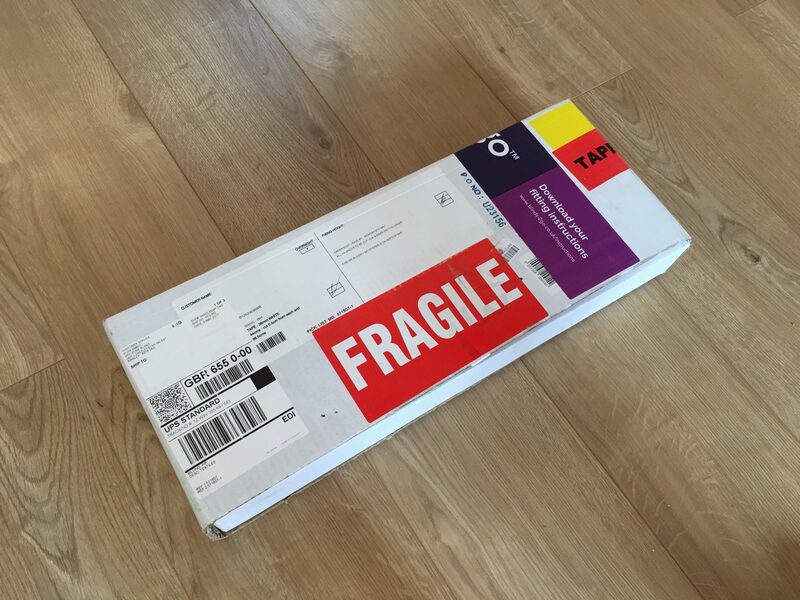 The online ordering process was extremely easy and self explanatory. 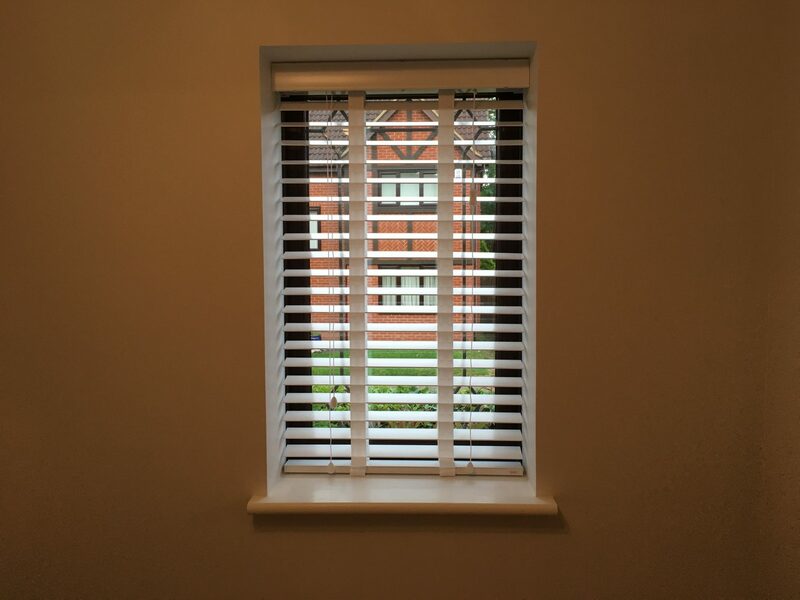 With 3 windows to dress we opted for white wooden blinds, 50mm wide with white fabric straps. In the box you get the blind, mounting brackets, face plate and fitting instructions as shown below. 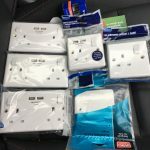 What was really frustrating however was that Blinds 2go don’t including fittings! No screws! What’s that all about!? 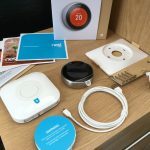 Luckily I had some spares kicking about in my garage but nowhere on the packaging or order did it say they wouldn’t be included. Very strange and massively inconvenient. I kicked things off by installing my smallest blind which would sit in front of my dining room window as I figured it would be the easiest (yes I know, terrible photo – too bright outside, too dark inside!). First up, mounting brackets. With a left and right bracket in the box this was a simple task of getting the right one on each side and pencil marking where each of the screws were to be located. 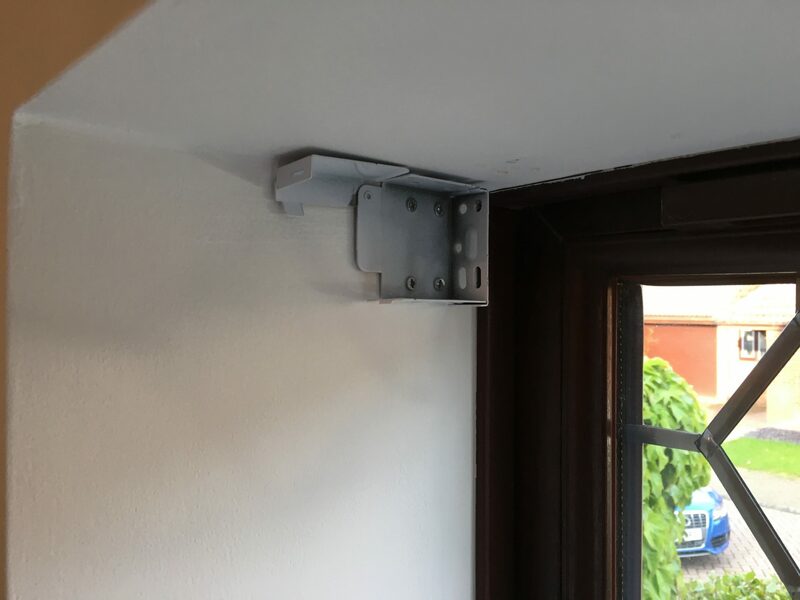 The mounting bracket can be screwed to the wall, to the lintel or to the window frame. I opted to screw mine to the wall. Something to note with these brackets is that I had to leave a few mm gap at the top. Without this it was impossible to get the blind into the bracket or get the face plate on later due to the angle required. 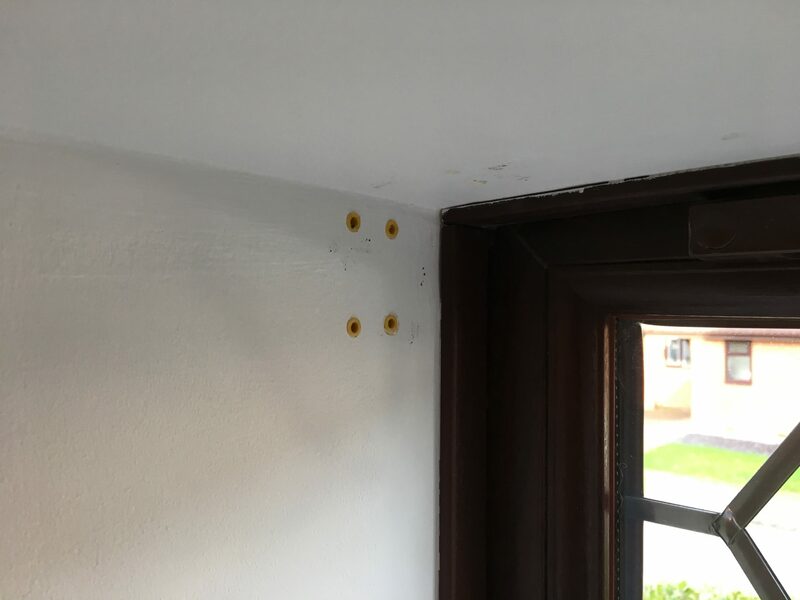 With pencil marks drawn I drilled out the holes and placed some plasterboard raw plugs in. It was then simply a case of screwing the bracket in place and repeating the process on the opposite side. 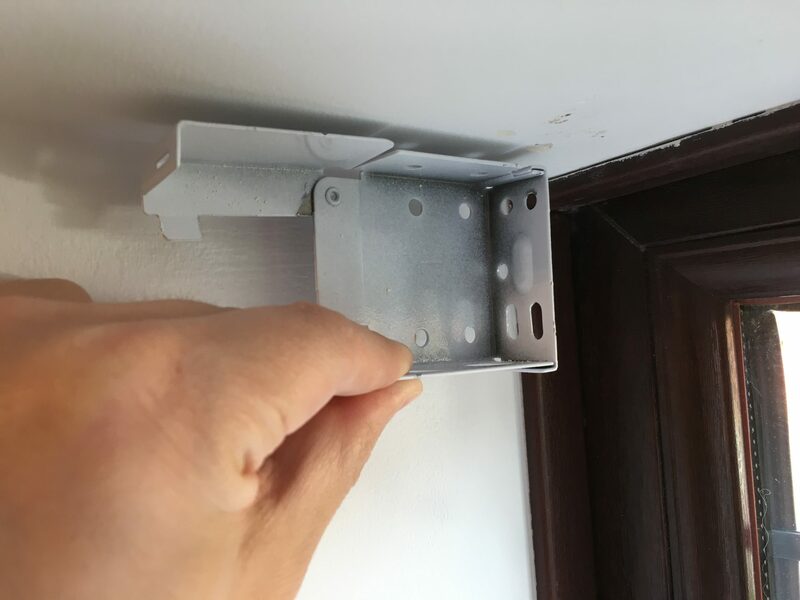 With both brackets in place it was then a case of pushing the blind in and locking down the ends of each mounting bracket to hold the blind in place. I did however have 2 challenges here. 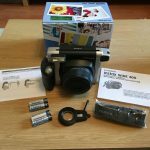 Firstly, as mentioned Blinds 2go don’t include any screws in the box. Additionally they don’t advise what screws to use. As my screw heads weren’t fully flush with the brackets this reduced the inside width between the 2 brackets by a couple of mm. It doesn’t sound like much but this then meant the blind wouldn’t fit into the brackets, at all. 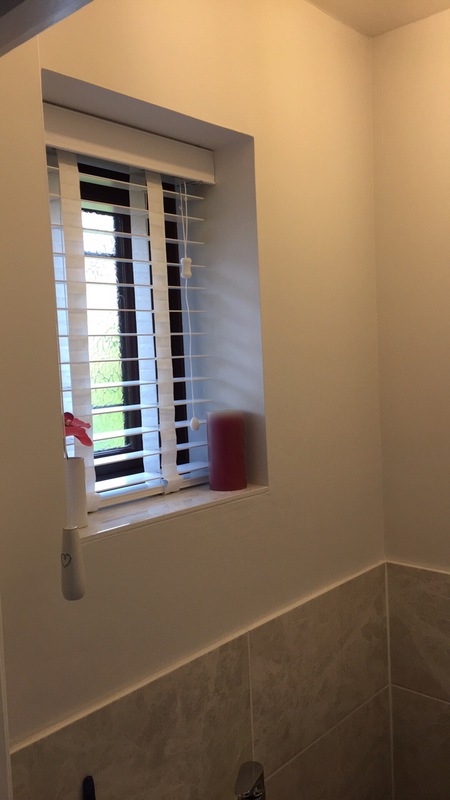 The only solution here was for me to cut a few mm off the end of the blind using a hacksaw to get it to fit – somewhat defeating the point of buying a made to measure blind! The second issue I experienced here was that the brackets were extremely difficult to lock. 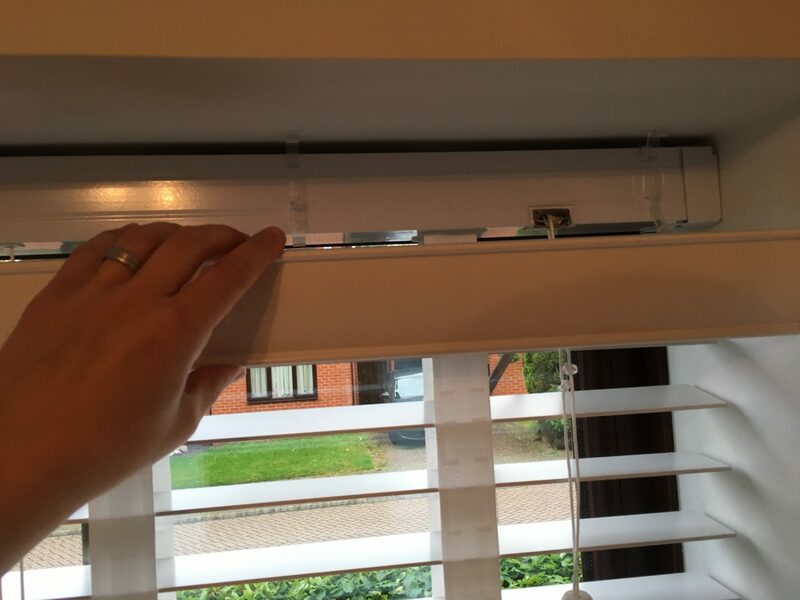 The brackets are extremely tight and so I simply couldn’t lock one end without feeling like I was going to accidentally rip the blind off the wall – Blinds 2go could certainly make some significant improvements to that component in addition to providing better fitting advice around screw types. The final step in the process was to mount the face plate. 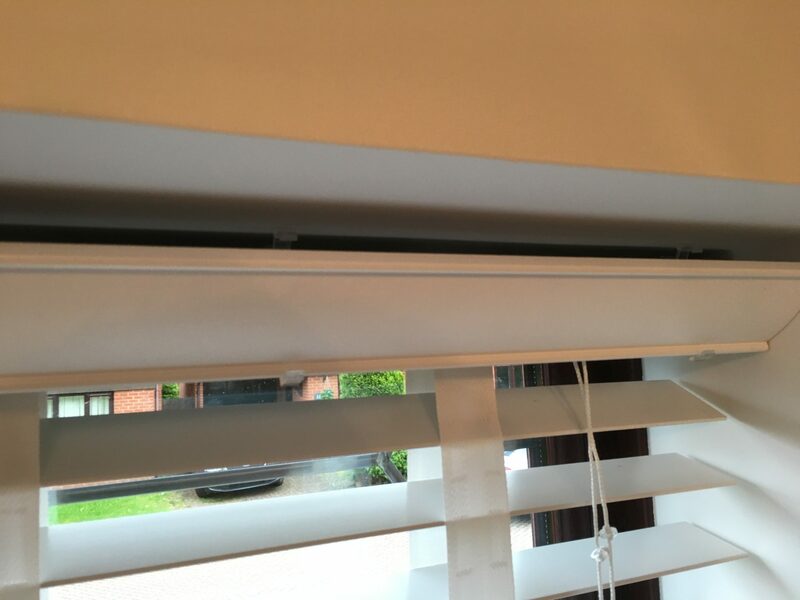 This required 3 small plastic clips to be added to the blind and then have the final wooden slat pushed into it as shown. And that was it, finished! With this test run complete I then tackled my WC window. And finally the most challenging of them all, the large lounge window. 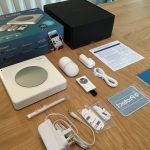 My overall experience with Blinds 2go was pretty mixed. 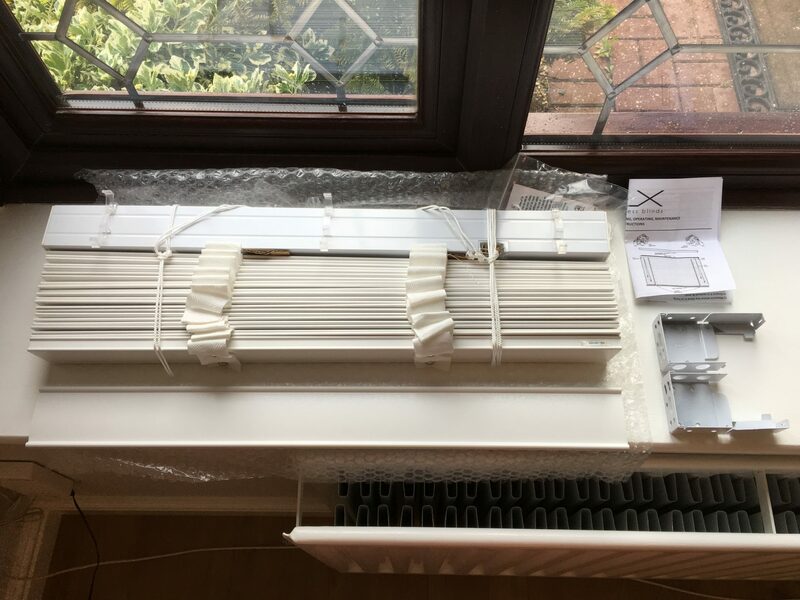 I was disappointed that the screws and raw plugs weren’t included and also that I had to trim the blind down to fit despite having measured the dimensions of the window exactly as per their instructions. 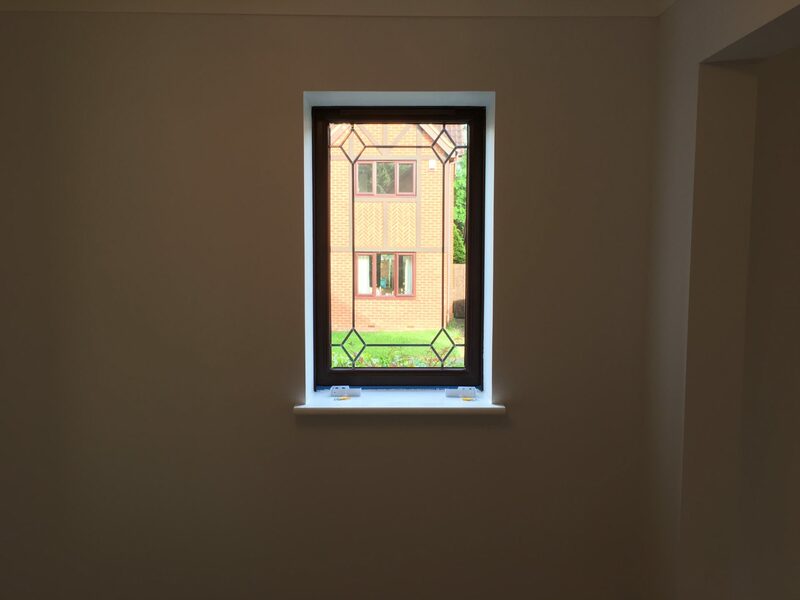 With regard to the actual blind itself, the quality is however extremely good – the painted finish is a high quality and the blind feels sturdy and looks fantastic – there is very little to fault in that respect. 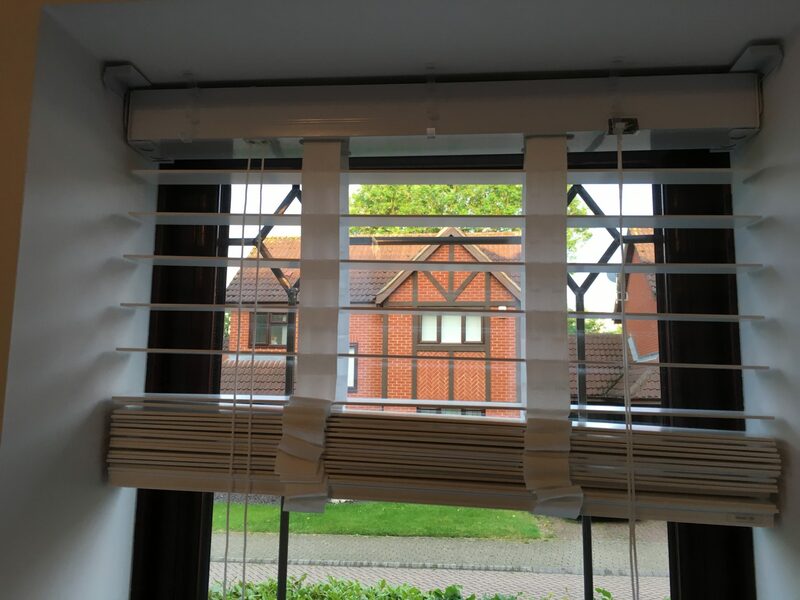 If you’re looking to install blinds in your house then I would certainly recommend Blinds 2go however be prepared to potentially come a little unstuck throughout your install! 7/10.